The modern shopping mall was birthed in the United States in 1956 and has since spread to other parts of the world. Other countries have expanded on the American mall concept and have created massive complexes that often feature more than just retail stores. These large malls also house movie theaters, bowling alleys, grocery stores, and hundreds of restaurants. Nearly all of the malls on this list are located in Asia and many of them were built by the same company, SM Prime Holdings. 1 Utama is the largest shopping mall in Malaysia and was higher up on this list when it was first opened in 1995. As of the time of this writing, 1 Utama is the eighth largest mall in the world since larger malls have been built in the last few years. 1 Utama has over 5 million square feet (465,000 square meters) of leasable space and contains over 700 stores. As the largest mall in Malaysia, 1 Utama is the only mall in the country that has four department stores: Aeon, Parkson, Isetan, and Tangs. 1 Utama is divided into different themed zones to make navigation easier. The zones are Highstreet, Oval, Rainforest (which features a real rainforest), Secret Garden, Promenade, Promenade Lakeside, Centre Court, The Ledge, Food Street, Sportszone, and Entertainment Zone. Isfahan City Center is the largest mall in Iran with a gross leasable area of 5,011,000 square feet (465,500 square meters). Like most of the malls on this list, Isfahan City Center has many features besides name brand retail shops, including an IMAX Theater. In addition to the mall, the Isfahan City Center mixed-use complex houses a five-star hotel, an amusement park, an office tower, and an international finance exchange center. The complex also home to the Isfahan City Center University of Applied Sciences and Technology. Isfahan City Center is one of the largest malls with a museum inside. The Prestige Land Museum is the first private museum in Iran. 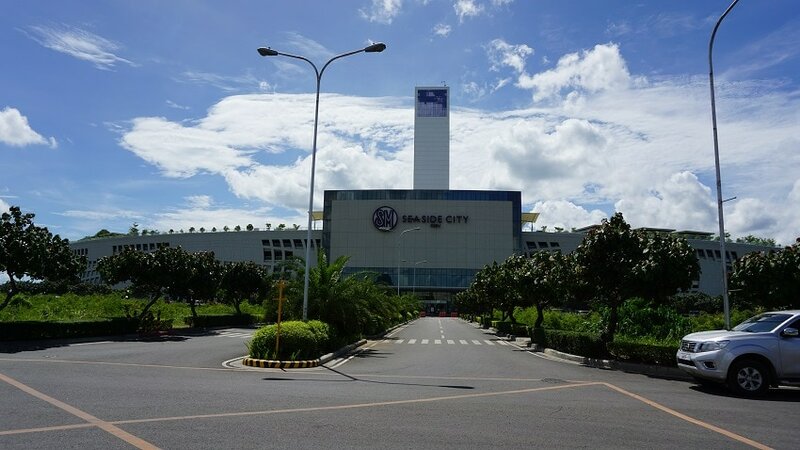 SM Seaside City Cebu is the 56th mall built by SM Prime Holdings and the third largest mall in the Philippines. Recently opened in 2015, SM Seaside City Cebu has a gross leasable area of 5,064,272.5 square feet (470,486.31 square meters). SM Seaside City Cebu features a Hypermarket grocery store, five cinemas, an IMAX Theater, a bowling center, an ice skating rink, and a roof garden. To go with the island vibe of Cebu, SM Seaside City Cebu has a nautilus-inspired theme. The mall also has a covered event area for concerts and Viewing Tower where visitors can enjoy the view of Cebu City. Outside of SM Seaside City Cebu is a giant steel cube sculpture that is 21 meters by 21 meters (69 feet by 69 feet) and serves as the mall’s landmark. SM Megamall in Metro Manila was the third mall built by Philippine-based SM Prime Holdings. Currently, SM Megamall is the second largest mall in the Philippines with a gross leasable area of 5.1 million square feet (474,000 m²). Like all of SM Prime Holdings’ malls, SM Megamall does not only have retail stores. SM Megamall has a bowling alley, a large movie theater complex, as well as an Olympic-sized skating rink. SM Megamall has a 17,060.81 square foot (585 square meters) church inside, called the Chapel of the Eucharistic Lord. SM City North Edsa in Quezon City, Philippines is the largest mall in the country. It was also the first mall opened by SM Prime Holdings in 1985. 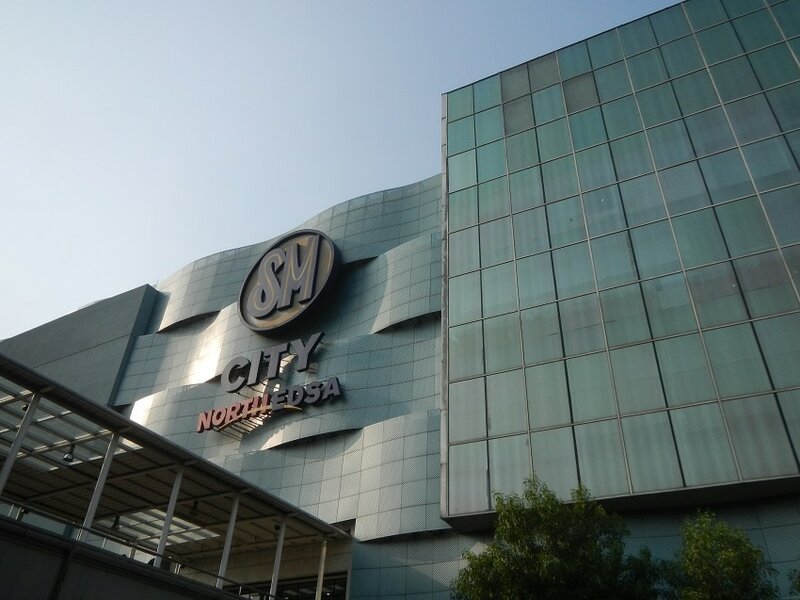 Over the years, SM City North Edsa has been expanded and it currently has a gross leasable area of 5.36 million square feet (498,000 square meters). 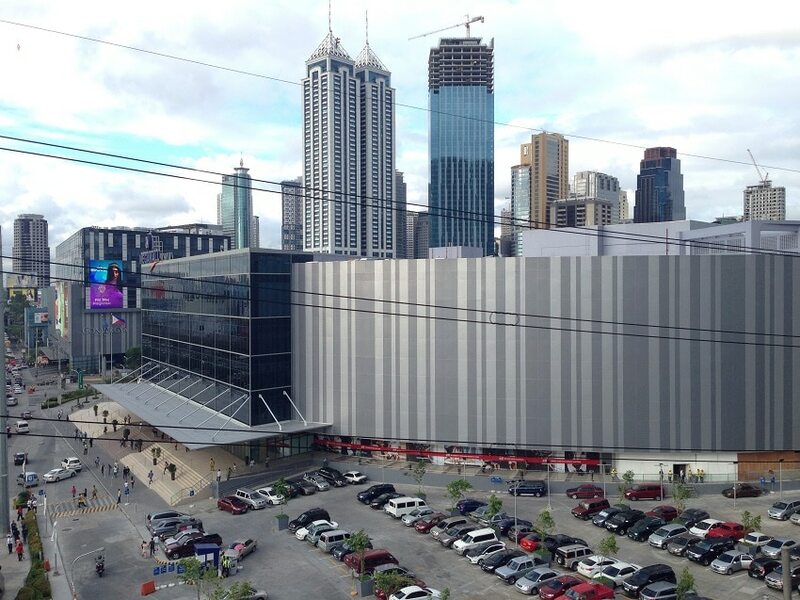 SM City North Edsa is large enough to have several grocery stores, an amphitheater with over 1,200 seats, a 12 cinema complex, and over 800 stores. There are also over 200 restaurants inside of SM City North Edsa and a parking complex with over 4,000 spaces. SM stands for Shoemart, which was the first store opened by Henry Sy, Sr., the founder of SM Prime Holdings and SM City North Edsa. ICONSIAM is the newest mall on this list and was only recently opened on November 9, 2018. Investors contributed over 54 billion baht (about $1.65 billion) to build ICONSIAM, which is branded as The Icon of Eternal Prosperity. ICONSIAM is now the biggest shopping mall in Thailand 5.65 million square feet (525,000 square meters) of retail space. ICONSIAM isn’t just a mall, its a mixed-use space that also houses dining, entertainment, and residential spaces. Unlike some of the other malls on this list, ICONSIAM immediately drew in a large crowd. Thailand’s very first Apple Store is located in ICONSIAM. Hundreds of people lined up overnight just to be the first to enter the Apple Store on opening day. SM City Tianjin is yet another one of China’s “ghost malls”. Despite being so large and offering a wide variety of stores and services, SM City Tianjin is often empty. In addition to traditional shopping mall stores and food courts, SM City Tianjin has a movie theater, a French grocery store, and basketball courts. SM City Tianjin is the largest mall in SM Prime Holdings’ portfolio. SM Prime Holdings is a large chain of shopping malls based out of the Philippines. SM City Tianjin has a gross leasable area of 5,812,511 square feet (565,000 square meters). SM City Tianjin is divided into five different buildings, which are named after the traditional Chinese “Five Elements” – Metal, Wood, Fire, Water, and Earth. Until the New South China Mall was built in 2005, the Golden Resources Mall in Beijing was the world’s largest mall. The Golden Resources Mall has an area of over 6 million square feet (about 557,419 square meters) and has room for over 1,000 stores. 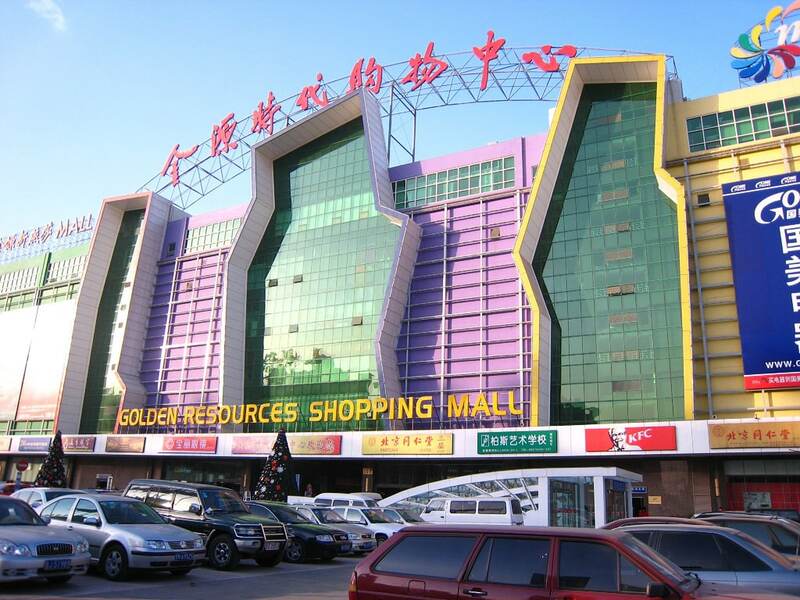 Like some of the other large malls in China, the Golden Resources Mall was initially not as popular as its developers hoped. For many years, the Golden Resources Mall was mostly empty, but the mall now receives more visitors as China’s middle class has grown. 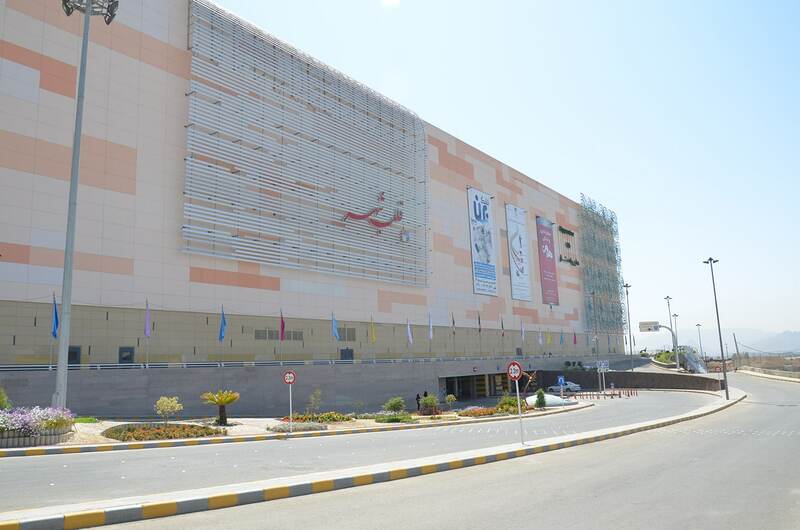 The Golden Resources Mall has over six floors and 230 escalators. New South China Mall in Dongguan, China is the largest mall in the world with a gross leasable area of 7.1 million square feet (659,612 square meters). The floorspace of New South China Mall can accommodate up to 2,350 stores. 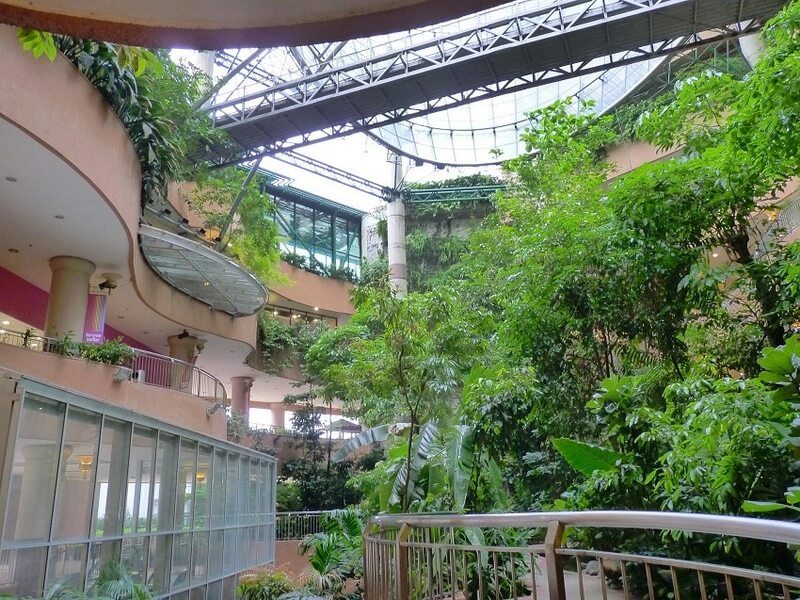 Although the owners of New South China Mall had intended for the mall to be a major attraction, for over a decade most of the mall remained empty. Only about 10% of the New South China Mall had been leased out and locals did not frequent the mall because they lack disposable income. However, in recent years, New South China Mall was renovated and now features shops that target China’s middle class, instead of the rich, an IMAX-style movie theater, and amusement attractions for kids. 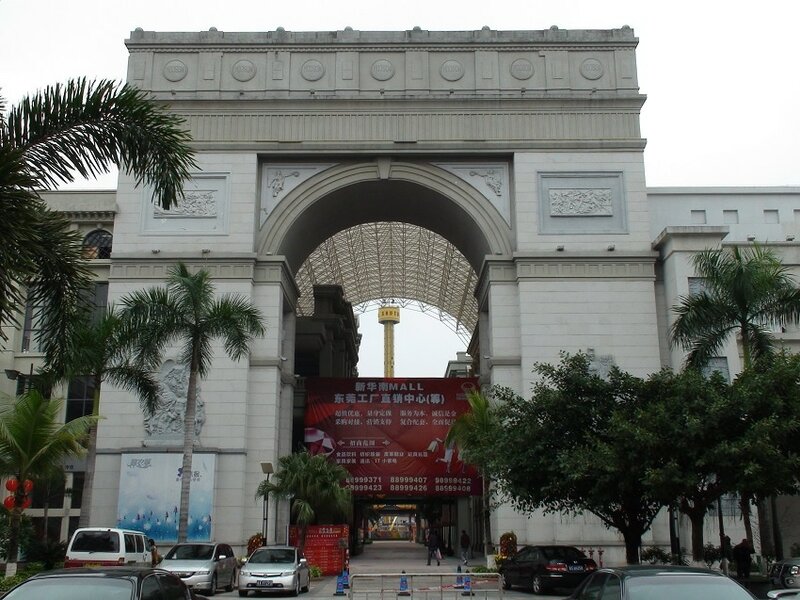 The New South China Mall is so massive that it has a replica of the Arc de Triomphe from Paris, France as well as a replica of St. Mark’s bell tower from Venice, Italy and the Sphinx from Egypt.